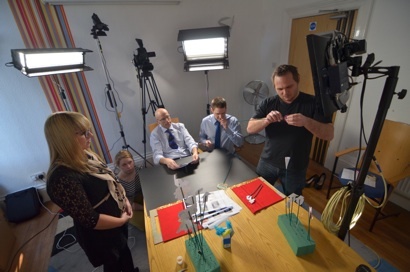 which together with a variety of props and practicals was brought to life for this fun video. In the end it took eight of us, and a morning of rehearsal to get the final take. I found some suitable music tracks, sound effects and light leak flashes then produced the final video in 1080p High Definition.